Stranded on prehistoric Earth, Arthur Dent and Ford Prefect find escape in the form of a time-travelling sofa. 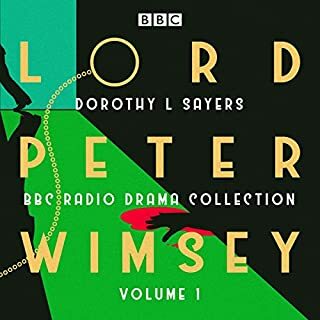 But as 11 homicidal, bat-wielding robots proceed to blow up Lords Cricket Ground, it seems that Arthur is far from Home and Dry. In fact, he is not even Home and Vigorously Towelling Himself Off. Soon he is on an explosive quest to save the Universe, equipped with only a rabbit bone, a worn dressing gown, and a spaceship which looks remarkably like an Italian bistro. 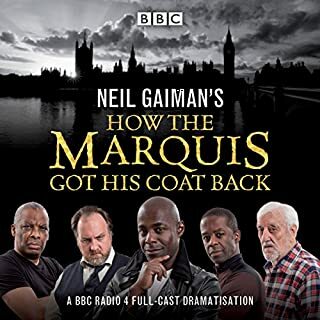 Many of the cast members of the original BBC Radio 4 series have been reunited for this new dramatisation, including Simon Jones as Arthur Dent, Geoffrey McGivern as Ford Prefect, Susan Sheridan as Trillian, Mark Wing-Davey as Zaphod Beeblebrox, and Stephen Moore as Marvin the Paranoid Android. 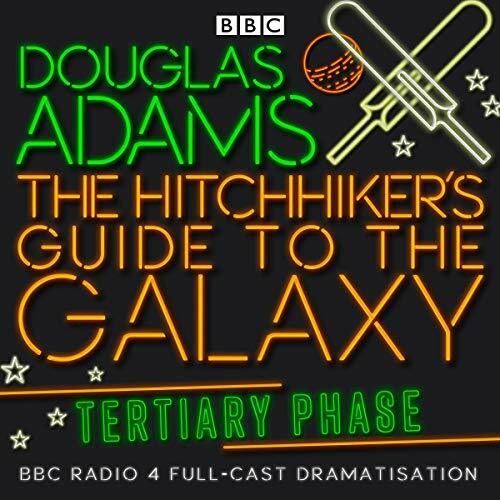 Listen to the rest of Douglas Adams' Hitchhiker's Guide to the Galaxy "trilogy." Want to learn more about the new Hitchhiker's Guide to the Galaxy movie? Listen to this interview with Robbie Stamp, close friend of Douglas Adams and executive producer of the film. 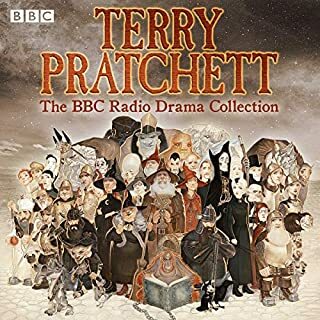 Just wanted to point out that this is the BBC radio show and not the actual books. Those are also on audible but are usually read by a single narrator. 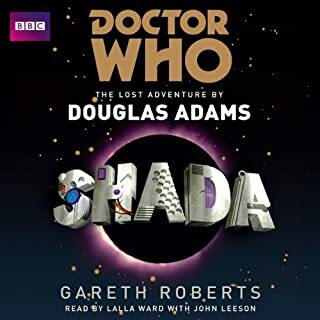 All versions of Adam's amazing series are very different from each other so there is no harm in listening, reading or watching either the BBC TV Series from the 80's or the Movie. Alot of people will discourage you from watching the movie but to be honest since they only had time to tell part of the story, it's well worth seeing. But nothing beats the original radio series or the original novels. For those of you who are just starting your journey with Arthur Dent, I envy you. Have fun and don't forget your towel!! 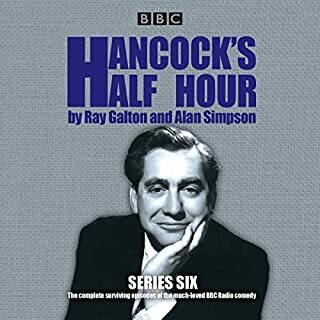 I really enjoyed the original 'Primary' and 'Secondary Phase' radio shows when I was a kid, and was a little dubious when the BBC decided to continue it. However, I have to say I was blown away by the production. True to the original, with much of the original cast. It was a delight to listen to. Highly recommended. At the end of the Secondary Phase of the Hitchhikers' Guide series, we heard Arthur Dent take off in Zaphod's ship, along with Marvin, a Lintilla clone, Eddie, the shipboard computer, etc. Now, he wakes up on earth, 2 million years in our past? So, that just proves the universe is stranger than we think--especially Douglas Adam's Hitchhikers' universe. 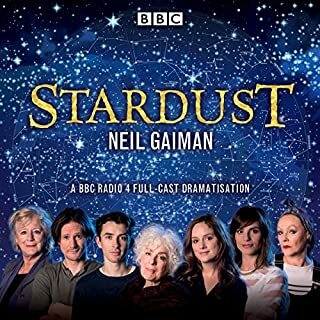 Now, you can hear, in all of BBC's brilliant radio style, the dramatization of the third book, "Life, The Universe, and everything". Will Arthur find out the ultimate question this time? Will he finally get a cup of tea? Will he return to earth and settle down--even though the vogons destroyed the earth? 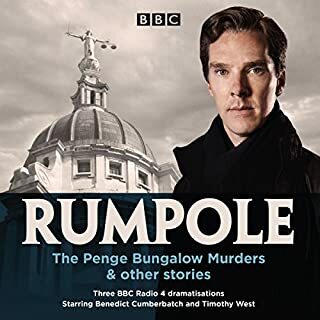 The BBC, again, does a wonderful job in bringing the third book to life, and, thanks to BBC and Audible, you can go along for the ride. 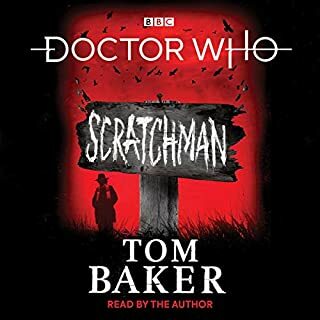 The BBC has given voices to some new characters, and, been able to bring many original cast members back for the dramatization of the final 3 books in the series. Some of the original cast are no longer with us, but, the BBC has done a good job replacing them. True, the actors are a little older, but, I still don't have any trouble believing who they are. This was performed after Douglas Adams died, but, he does make an appearance. See if you can guess who he plays! Don't wait! Add this to your cart right now! I've listened to this radio play so many times that I've even memorized certain parts of it. Often quoted it to others for that matter! I strongly recommend any Hitchhiker fan to take a listen and share and enjoy. While not as good as the primary phase ( or the books ) it's still a lot of fun. Share and enjoy! I also experienced issues with downloading as I was "geographically challenged". 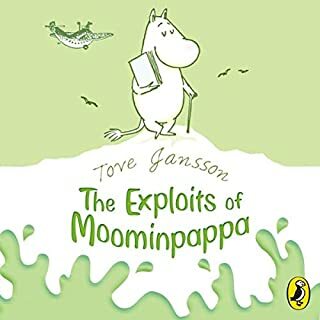 However, this trully is an amazing book (finally got a hold of it), and I recommend it to anyone, young and old, with a dry, satiracal or blantanly blunt humour. A must listen for all. 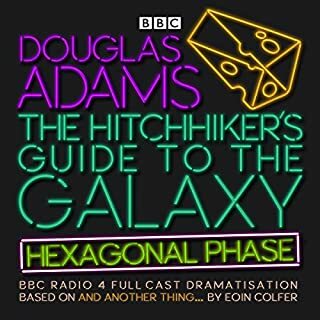 The Hitchhikers radio series continues to entertain. And as always, it's very interesting to see the differences between this and the later material. Mostly the books at this point. This is part three of five of the Hitchhiker's Guide. 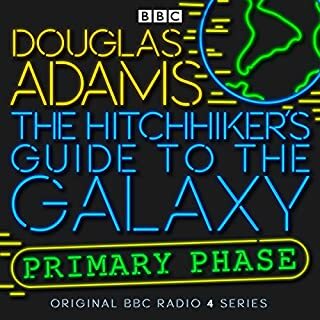 Just simply loved this entire series of the Hitchhiker's Guide, being the original BBC radio series. Die Sprecher sind naturgemäß älter geworden aber das trübt das Hörerlebnis wahrlich um keinen Deut. Die Handlung an sich ist eher als Ergänzung zu der primary und secondary Phase zu sehen denn deren Brillanz erreicht der dritte Teil nicht mehr ganz (geht ja auch gar nicht). 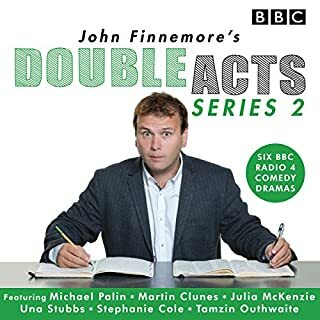 Simon Jones als Arthur Dent - das ist so ähnlich wie Yul Brunner und 'The King and I' oder Schimanski und Tatort, das gehört einfach zusammen. Fazit: Wer die ersten beide Teile kennt kommt um den dritten Teil einfach nicht vorbei. Und als eines der vielen Schmankerl wird das '42' Problem wieder beleuchtet. Im Gegensatz zur deutschen Hörspiel Bearbeitung fehlte mir hier das feeling, z.B. Beim Fliegen und Agrajak war auch weniger wahnsinnig. Dafür kommen natürlich einige Wortspiele besser rüber, wie das Treffen Arthurs auf die Party. generell schön ein wenig mehr von der original Geschichte zu erfahren und eine Figur kennenzulernen, die in der deutschen Bearbeitung einfach rausgelassen wurde. Den Seriencharakter mit intro und outro finde ich sehr angenehm, so kann man zwischendurch immer wieder pausieren. Die Qualität ist einigermaßen in Ordnung, ist halt etwas komprimiert und für ein nicht native englisch sprechenden nur in den besonders abgedrehten Stellen manchmal schwer zu verstehen. Und die Story ist generell zwar witzig und zum Ende auch interessant, aber gerade im Mittelteil hat sie einige Längen - aber es gibt auch immer wieder tolle Momente, wie Marvin im Sumpf.